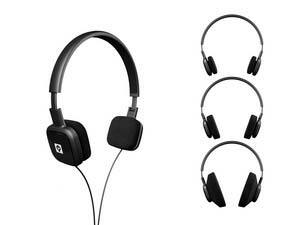 STOCKHOLM, Sweden and UK â€“ 10 December 2008: Jays, the company that brought you the highly acclaimed q-JAYS â€“ the worldâ€™s smallest in-earphones with dual armatures â€“ has stepped into the headphone market with the launch of the c-JAYS. Combining superb design with exceptional comfort and audio quality, c-JAYS are the perfect answer for consumers who want the Jays audio experience through a headphone rather than an in-earphone. Lightweight and flexible, C-JAYSâ€™ extending arms are made from hard-wearing, glassfibre-reinforced nylon making them flexible, tough and able to stand up to use in demanding environments. Whatâ€™s more, they can even be folded up so itâ€™s easy to carry and store them.